More data = more noise, amirite? More stuff to comb through, more “analysis paralysis,” more time wasted. It’s a comment Brandon Battey hears all the time. “But actually that ‘noise’ is a powerful tool to target the right accounts – that is, if you know the tech stack of your target accounts,” says DiscoverOrg’s Senior Manager of Sales Development. Our win rate increases by 300% when we know key parts of a prospect’s technology stack. And it’s especially helpful when your target accounts happen to be using one of your competitors. If your offering integrates with your prospect’s tech stack, it’s not a matter of whether a prospect can use a solution like yours: They can, and they do. Tech-stack data may be more noise, but it should be music to your ears. Here’s why. Many companies don’t have an opportunity to sell into an account at all unless a specific technology is present. For example, you wouldn’t want to target a company using Oracle products if you’re in SAP consulting. The tech stack is the combination of multiple technologies a company uses. The technologies in each company’s unique stack are often selected based on their compatibility and integration capabilities (hint, hint). How big is the average tech stack? However many technologies you think your company uses – multiply that by a factor of 10. Most people seriously underestimate this number, which is getting bigger all the time. There’s a lot of money, and a lot of potential for disruption here. 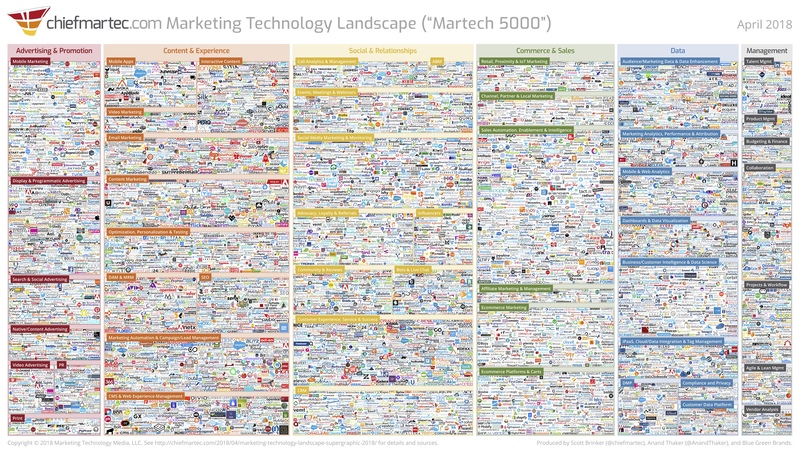 How effective is targeting the tech stack? Even though the Account Executive already dismissed the company, they may not have taken the prospect’s tech stack into consideration. Knowing tech stack uncovers opportunities that might otherwise have been dismissed. That’s where the raccoons come in! For accounts that are good fits? Choose your top 3-5 competitors – and look for companies who use them. “In our case, pursuing companies that we know are using our competitors mean they’re more likely to appreciate the value of high-quality data, like our solution. It’s one of the best ways to segment,” adds Battey. “These are opportunities that we lost to a competitors, and they are time-stamped. Our SDR will start to strategically work these accounts, 8 to 9 months after we lost the deal, by asking, ‘How is XYZ tool working for you?” – talking about other compatible technologies they use and how we integrate, and build ground swell with multiple stakeholders. Don’t creep out your prospects by acting like a stalker. We like to work in the tech-stack – plus our competitor’s weaknesses – in the client voice. Client voice is formulating what you’re saying as not coming from yourself, but rather as client. This allows prospects to not feel challenged by what you’re saying and they’re more likely to respond positively. Let’s take this a step farther. We do this by asking, “How are you arming your team with enough direct dials on real decision makers on good accounts for them to call all day?” Because none of our competitors can achieve that in the first place. But maybe you don’t want to replace competitors. Maybe you want to just land some new accounts without wasting your time. Here’s another way to target with the tech stack. Reverse-engineer your top 10 best accounts: Pick those who have the largest deal size, who renew every year, and who get the most value from your product or solution. Look for technologies that are common to most or all of these best customers. Identify technologies that you integrate with or are compatible with your offering. If the resulting list is too long, prioritize the top 2-3 technologies. Include those technologies in your account scoring model and your buyer persona – and go target companies with those installed technologies. Brandon Battey says a company’s openness to sophistication – or lack thereof – starts at the top. How much does the CEO value technology? “A lot of leaders are draconian: ‘Just call this number! Data is just data!’ It says something about the organization itself. But if they’re already using other leading-edge technologies, they’re probably open to others. This works both ways, by the way: low-tech users like low-tech solutions. You can operationalize this insight by targeting sophisticated (or less-sophisticated) technologies – and segmenting this way. While your prospects might be less sophisticated, you’re not. Understanding your prospects’ tech stack is low-hanging fruit, and you need this data to stay competitive. Cool, so: Where can I find a company’s tech stack? It’s not something a Google search usually turns up – but you can find it yourself. Additional information makes the tech stack an even sharper tool. What if you could know when someone searches for a technologies – doing research to purchase, or learning to use it better – in real-time? Better yet, what if you could instantly run a list of companies that share the qualities of your best customers … and then cross-reference that against companies currently researching your solution or similar solutions? It’s not hard to get started with this sophisticated sales prospecting technique. Much of the tech stack isn’t hard to find, and with a little strategy, the returns – a 300% increase in conversion rate! – are enormous. Take a tour of our platform and see just how sharp we are: Request a demo today!